HTC just refreshed its One flagship device in an attempt to join the ranks of smartphone legend. It’s not the same do or die moment we experienced with the BlackBerry Z10, but there is still a lot riding on HTC’s latest Android device. The old One and its subsequent spin-offs were great devices in their own way, but weren’t able to grab the same traction that the iPhone 5 and Galaxy S3 have. It does seem like HTC has put a lot of effort into the newest One though, packing it full of neat features like BlinkFeed, which – aside from the horrible name – looks like a great addition to sense. It is basically a built-in Flipboard replacement that pulls information from RSS feeds and social networks. There’s also the new camera, which promises to deliver supreme low-light capabilities and gorgeous photos using only a 4-megapixel sensor. The compulsory software treats are there, but what about the physical specs? 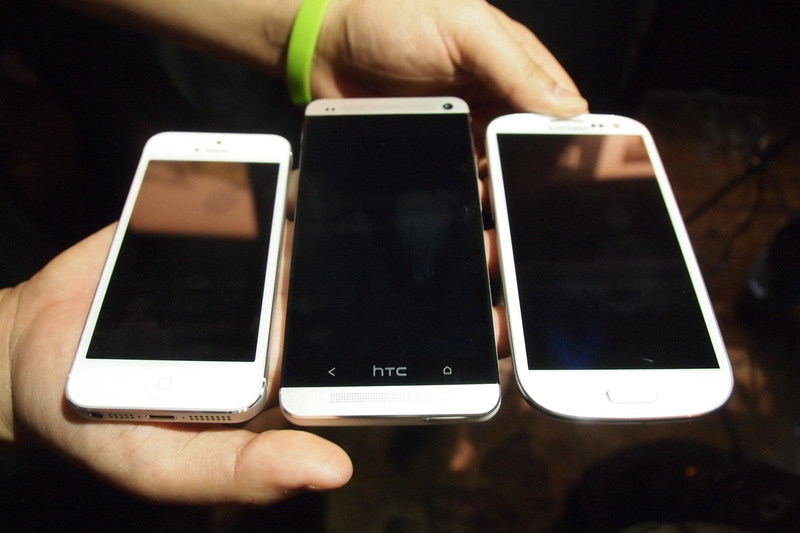 Check out how the HTC One holds up against the competition and choose your own winner. Bottom Line: On paper, the new and improved HTC One certainly matches the specs of its competition, even surpassing both devices in the display department. Stellar specs have never been HTC’s problem, but rather its devices haven’t captured the world’s attention for whatever reason. We also have to keep in mind that the Galaxy S3 and iPhone 5 are both due for a refresh this year and may very well surpass the HTC One in every department. For now though, the HTC One is a fine choice for any Android fans out there. With compelling software features and killer hardware, this looks like HTC’s time to shine.